Fresh and colorful fish tacos are the perfect weeknight dinner. They are high in protein, which is essential for healthy skin and for keeping hair long and strong. The mango in this dish is a great source of beta-carotene, which keeps skin smooth and protects against wrinkles. 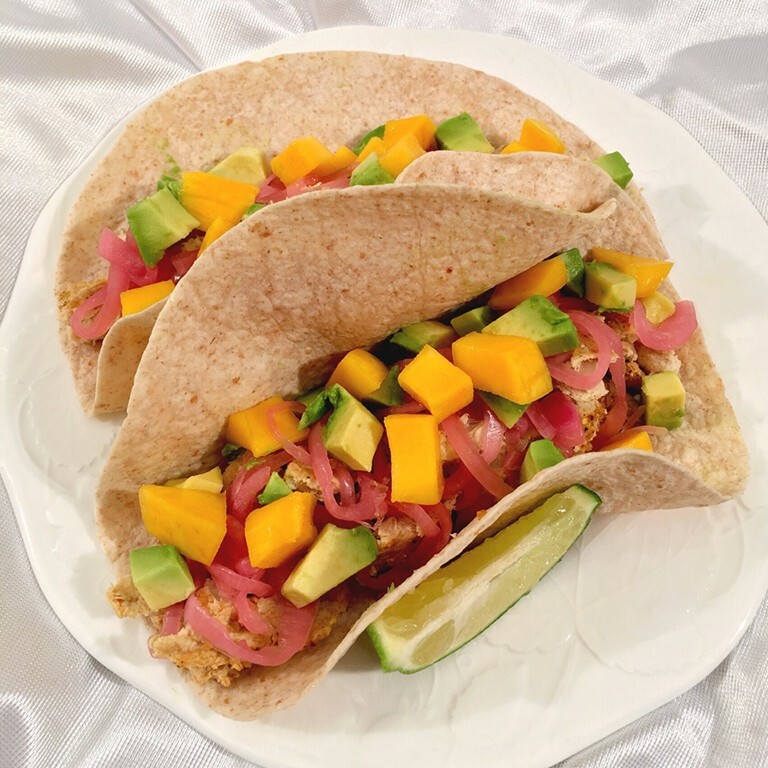 Aside from fish and mango, this heart-healthy meal also includes fresh avocado and pickled onions. The tanginess of the onions pairs well with the creaminess of the avocado and the sweetness of the mango. In a medium bowl, mix together honey and vinegar. Add onion, making sure it is submerged in the liquid. Add more vinegar if necessary to cover onion. Let sit. Brush lime juice over snapper fillets. In a small bowl, combine cumin, chili powder, garlic powder, salt, and pepper. Rub this spice mix evenly over both sides of the snapper fillets. In a large skillet, heat oil over medium heat. Add seasoned fish and cook 2-3 minutes each side. Once fish has cooled, break into small pieces. Divide fish evenly among the tortillas. Remove onions from the pickling liquid and divide evenly among the tortillas on top of the fish. Divide mango and avocado among tortillas on top of onions. Serve with lime wedges, if desired.